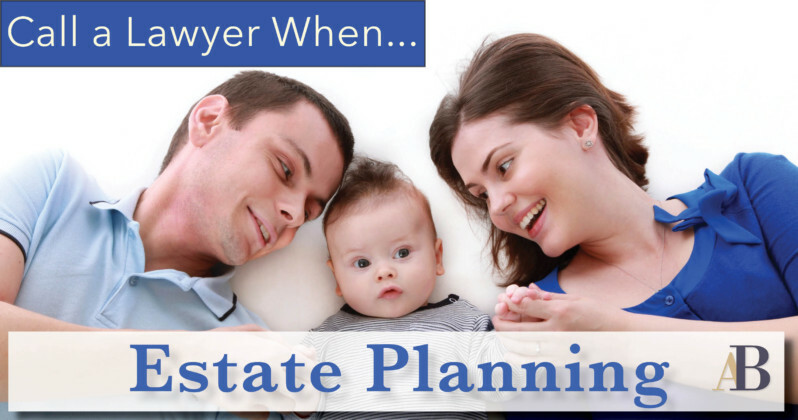 A common misconception is that estate planning is only necessary for people who have a lot of assets, people who are married or people who have children. Regardless of your status, it is important to formalize your wishes regarding the distribution of your real estate and personal property, your long term healthcare, your burial preferences, the legal guardianship of your minor children and any other wishes if you should become legally incapacitated or deceased. To ensure that your wishes are carried out, it is imperative that you have a will, Advanced Medical Directive, and a Power of Attorney. Regardless of your situation, estate planning allows you to declare your wishes concerning the distribution of your assets and how you wish to provide for your spouse, children, pets, or any other beneficiary that you wish to include in your will. Without a will, Virginia intestacy succession laws will dictate how your estate is handled. It’s also important to note that whether you have a will or not, your estate will go through a probate process. Probate is the legal process that appoints an executor who will administer your estate and distribute assets to the intended beneficiaries. Executor: The person who will oversee the administration of your estate and ensure that your wishes are carried out according to your will. If probate proceedings are required, he or she must handle requests or hire a lawyer. Guardian for Minor Children: The person who will care for your children until they reach the age of majority. Trustee for Children’s Property: The person who will manage the assets left to your children. This may or may not be the same person who is their guardian. You may also leave instructions on how assets are managed and distributed. Property Instructions: Identify how your real and personal property will be distributed. Caregiver for Pet: Name a caregiver for your pet, and identify any assets, if any, that will be held in trust for the care for your pet. A will can be simple and straightforward or complex depending on your situation. One common issue with self-made wills is that they are not properly signed and witnessed according to the laws of the Commonwealth of Virginia. If that happens your will is likely invalid and your estate will be distributed according to the Virginia Intestacy laws. Work with a lawyer who understands the Virginia estate laws to ensure your wishes will be followed upon your death. An important document to include in your estate planning is your advanced medical directive. A common misconception is that an advance directive means “do not treat” or “do not resuscitate.” While it can state that it can also state the opposite. An Advanced Medical Directive, sometimes called a Medical Power of Attorney or a Living Will, determines who will make decisions regarding medical treatment and care if you are unable to make those decisions. You will also determine possible medical treatments, maintaining comfort and care, and whether or not you wish to remain on life support should a doctor determine that it is unlikely for you to ever make a recovery. A Virginia Advanced Medical Directive is in essence a combination of a Living Will and Health Care Power of Attorney. It takes effect when you lack the capacity to make decisions or give consent to medical treatment. Once you have completed your Advance Medical Directive, you will need to make sure that a copy is given to your proxy and primary care physician. You may also wish to register it with the Virginia Advance Health Care Directive Registry. A lawyer will be a useful resource answering questions and drafting and executing an Advanced Medical Directive. A Power of Attorney is another document to include with estate planning, because it identifies a person you trust to make financial decisions such as paying bills, filing a lawsuit on your behalf, or even cashing your checks among other things. Do not assume that your spouse has power to manage your assets or make other legal and financial decisions on your behalf. Simple: As the name suggests, it simply allows the appointed person to make financial decisions on your behalf. You maintain as little or as much control as your desire over your finances. It remains as long as you have the capacity to make decisions. A Simple Power of Attorney is most often issued between spouses. Durable: A durable power of attorney extends the power of attorney to a time when you are legally unable to make financial decisions. Without a power of attorney, your relatives will have to petition the court to name someone to manage your financial affairs. When naming your representative in a Durable Power of Attorney, select someone who you trust to act in your best interests. It is important to work with a lawyer when creating a power of attorney to ensure your best interests are protected based on your particular situation. No matter where you are in planning for your estate and any contingencies, you should plan to set these documents in place sooner rather than later. Many people have the mindset that something like that won’t happen to me but the reality is that unforeseen tragedies happen every day; therefore, it is imperative to legally express your wishes so they are carried out in the event of an unforeseen tragedy. The Law Office of Alexander H. Bell looks forward to helping you draft the necessary documents to ensure that your wishes are carried out if and when this unfortunate time comes.